This awesome article is written by Obi Obadike, B.A., B.S., M.S. CFT, SFN, celebrity fitness and nutrition expert. Check out his website for more health tips and videos! Trying to lose weight but hitting a hard plateau? You’re probably making one of these common diet mistakes. This is how to increase metabolism to help you lose weight easier and faster. This is false – let’s debunk why this isn’t true! One of the biggest nutrition myths is that you will speed up your metabolism by eating every 2 to 3 hours. This is 100 percent false because it doesn’t matter how many meals you eat within a day. Whether you eat 3 meals a day or 6 meals a day, the speed of your metabolism will be the same. You are not going to lose more weight because you are eating more frequently. When it comes to eating, you need to find a meal frequency regimen that works for your schedule. The advantage of eating every 2 to 3 hours is that it helps prevent you from overeating because you are not waiting too long before your next meal. However, it will not make you lose weight faster or increase the rate of your metabolism. This is one of the oldest diet myths in the fitness industry! This is false – let’s debunk the myth! Most people think ‘the less you eat, the more you lose.’ In theory, this is correct. However, if you consume fewer calories than the amount needed for your body to function normally, your resting metabolic rate (meaning your metabolism) will decrease, making it much tougher to lose weight. Your ability to burn calories will be at a snail pace rate. According to research, when diets are lower than 1200 calories, you will find the largest decrease in your RMR (Resting Metabolic Rate). So, if you are on a diet, be careful that your caloric intake isn’t too low. Having an idea of how many calories you consume is very important. 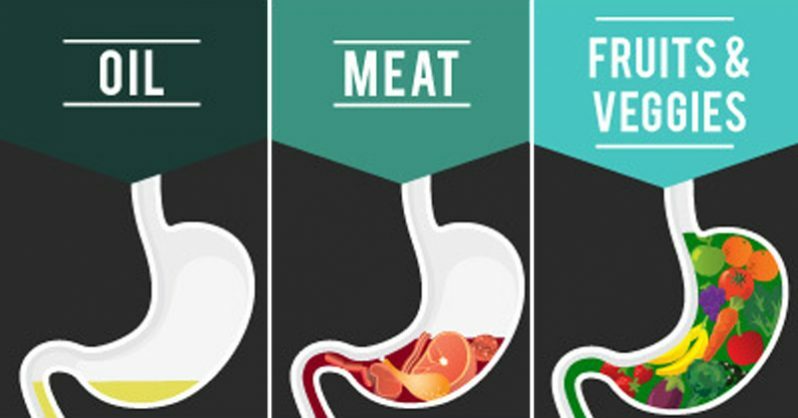 It is important to keep in mind that your body processes different types of food differently! About 20-30 percent of all ‘protein’ calories you eat are burned during digestion. About 6 percent of all ‘carb’ calories you consume are burned in the digestion process, and 3 percent of all ‘fat’ calories are burned in the digestion process. Because protein is burned so quickly, even without exercising, a majority of calories should come from protein when it comes to weight loss. A perfect illustration is this: if you ate 1000 calories of chicken and 1000 calories of ice-cream you would gain more weight with ice-cream. Only 3 percent of fat from the ice cream would burn in the digestion process, whereas 20-30 percent of the protein in chicken would burn in the digestion process. This process is called the Thermal Effect of Food (TEF). This is false. Let’s debunk the myth! Many celebrities have pushed the theory that once they stopped eating after 6 pm, they started to lose weight. Your body does not store more fat at night than at other times during the day! Your body’s ability to gain weight is about what you eat and how much you eat – not what time of the day you eat it. Research shows that eating late at night will not lead to gaining weight. During a 6 month study done in Israel, the participants ate their largest meal at breakfast, while some participants ate their largest meal after 8 pm. Researchers found that the people who ate their largest meal after 8 pm lost 10 percent more body fat and lost 11 percent more weight than the people who ate their largest meal at breakfast. The only time that late night eating can be a problem is if that last meal turns into 3 meals (overconsumption of calories).